Hope you all had a lovely Easter - I cracked into the chocolate as soon as I woke up yesterday. Not good! 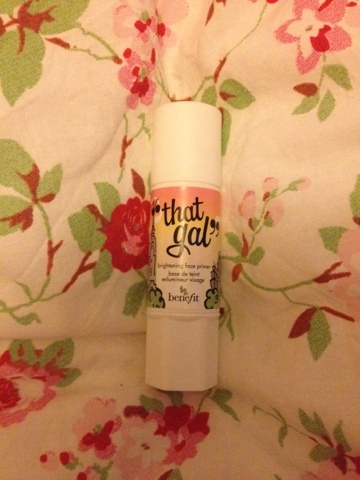 Today, I'm going to be talking about Benefit That Gal Primer - a "brightening face primer" - It is a lovely pink cream that smells a little bit like strawberries and sweets, although it has raspberries in it so it probably smells more like raspberries than strawberries! It's designed to brighten the face and can be worn under make up to brighten the skin and ensure makeup goes on smoothly, over make up as a bit of a pick me up, but it can also just be worn on it's own, to brighten up your skin, which is particularly good in summer, I sometimes find in summer when it's hot, that I don't want to put on foundation etc but this works really well as a little perk to skin, making skin look smooth and fresh. I think the biggest testament to this product for me is that I have used it for a about 2 years now, and I am so fickle when it comes to makeup, particularly when it comes to things like primers, because there are constantly new ones coming out that claim to do wonders, and while I've tried some of these and liked some, I've never stopped buying this. Another thing I like about this product is that it is shimmer free, with a lot of brightening make up around now, it seems to just be the shimmer that is doing the brightening, and even though I do love a bit of shimmer, I like to apply the "shimmer" effect myself in different forms through blushers or highlighters rather than all over my face in a primer! SO to get the brightening effect, this has light reflecting pigments and also contains Raspberry and Chamomile to soothe the skin. It comes in the usual lovely Benefit packaging, it's a white twist tube with a lovely peachy pink, green City Scape on the front, but you can also get the smaller squeeze tubes (5ml) that are perfect for travelling, these tend to come in the Benefit gift sets. When I go out as well, I like to mix a little bit of this with Murad Skin Perfecting Primer that I got a little sample of in my Glossy Box and apply all over my face with a foundation brush, when I do the two of these together, it makes skin look amazing! Although apparently it works really well with Benefit's Porefessional as well, but I can't comment on this yet, because I think I'm the only Beauty Blogger not to have tried Porefessional yet, but they both look similar so I think it would do a good job! 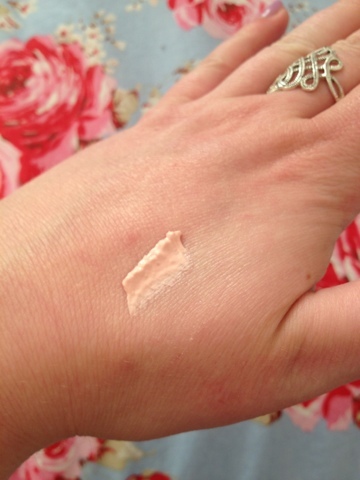 4 comments on "Benefit That Gal Brightening Face Primer"
Believe it or not, I wear Monistat Chafing Gel! I know...people are like WTH when i tell them. It has the same ingredients as Mac primers, but for a fraction of the cost! everything about it is similar and i love it! i do want to try some other primers though because i love to expiriment. i want to try this one! your description of the scent makes it sounds soo appealing! 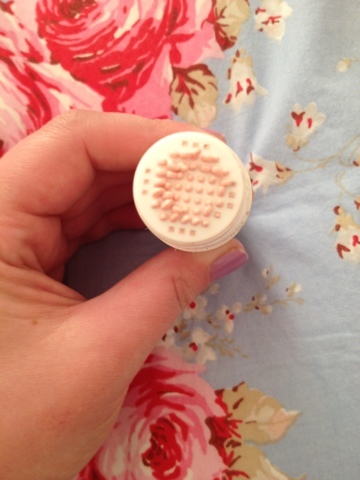 I love Benefit's Girl Meets Pearl, which I have heard is actually very similar to this, but more of a highlighter? I generally mix it with my foundation though for a bit of brightness.